In this hands-on, we will learn how to use a JSON Java API, present in Java EE 7. With it, you can parse JSON structures for reading the data, and generate their own structures. In this hands-on we will use Eclipse. Create a Maven project in New> Other> Maven Project. If you do not have this option, open the Eclipse Marketplace on the IDE itself (Help menu), and look for the plugin “Maven Integration for Eclipse” on your version. At the end of this post, you can find a link to the source code of hands-on. With the dependencies created, we will begin to explore the API. The above code will generate an identical Json than shown above. As in the other example, this code will generate the same JSON shown at the beginning of the post. In this hands-on, we saw a sample of a JSON manipulation API of the Java language. With it, we can create Jsons more simply, beyond reading them. The reader may be wondering “but it is not easier to use the JAX-RS 2.0 to produce / consume Jsons”? It is true that the JAX-RS 2.0 has brought a simpler interface than the one presented here, where, basically, simply create a POJO to have a ready Json structure. The reader should remember, however, that the JSON is not a unique structure for use with REST services, and therefore, for scenarios where the use of the RS 2.0 is not appropriate, this API can become a good option. Out of curiosity, the JAX-RS 2.0 uses this API “under the hood”. Opa! 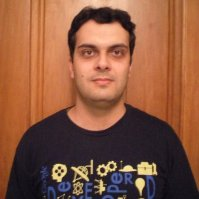 Uma lib legal para manipular JSON em Java é a GSON (http://code.google.com/p/google-gson/), desenvolvido pela Google.